The great Mt. 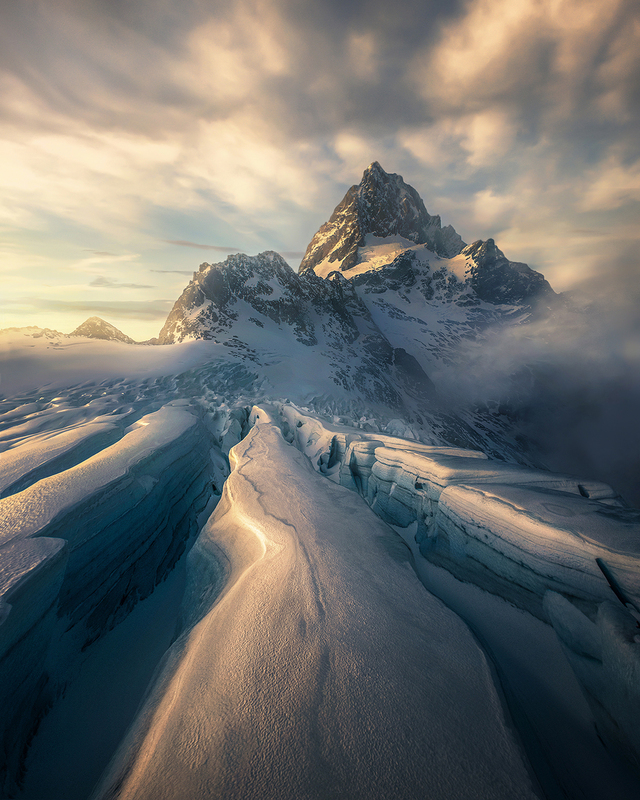 Tutuko rises from the mass of cracking glaciers surrounding. . Photo © copyright by Marc Adamus.